This picture hangs on the wall in my kitchen. Doesn’t it look quaint and charming? The reality is that winter can be a difficult time. We had our first taste of cool weather this last weekend. I’m reminded that fall is just around the corner and it’s time to think about getting our homestead ready for winter. I’m putting together our “prepping for winter” to do list and I thought I would share it with you. The Farmers’ Almanac is calling for another really COLD one and we want to be ready! I have now experienced two winters living off grid. It can be a challenging time! But each year, I feel like I am a little more prepared. When I lived in an electric house in St. Louis, I spent very little time outside during the winter. If my family went anywhere, I always warmed up the car before we were ready to go. The house was warm, the car was warm, and usually so was our destination. We had some warmer layers for playing out in the snow, but it wasn’t a daily activity. 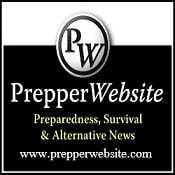 Living off grid actually requires some preparation, and not just in relation to clothing. So, here’s our to do list in no particular order. You can never have enough wood. We heat our entire home with our wood stove. 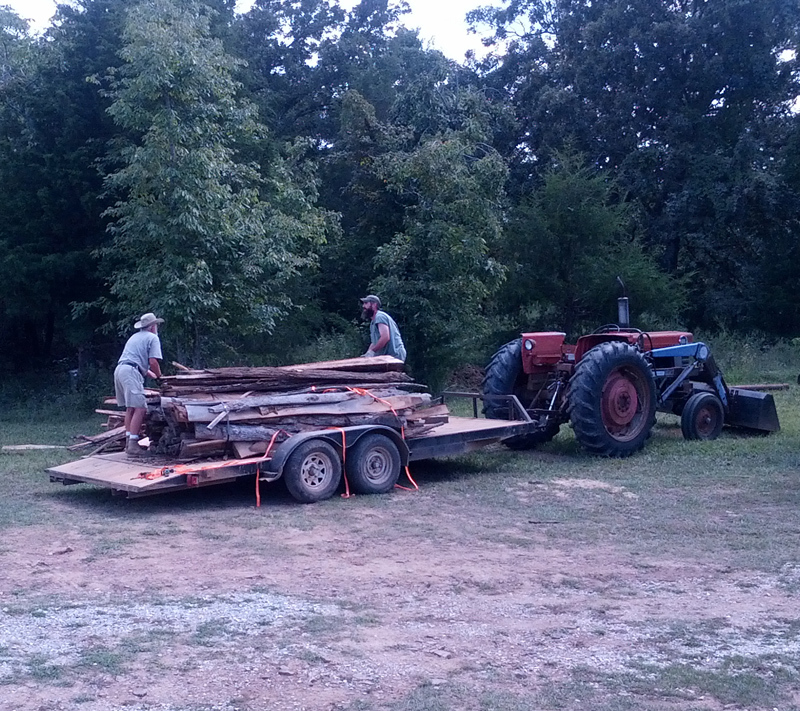 My husband and dad have already started to pile up wood for the winter. When I see the piles of wood, it makes me so happy! I know I will be warm. They have chosen to purchase “slab” wood from a nearby mill. The cost is $20 for 1 ton (2000 pounds) and they plan to buy seven tons to get us through the winter. 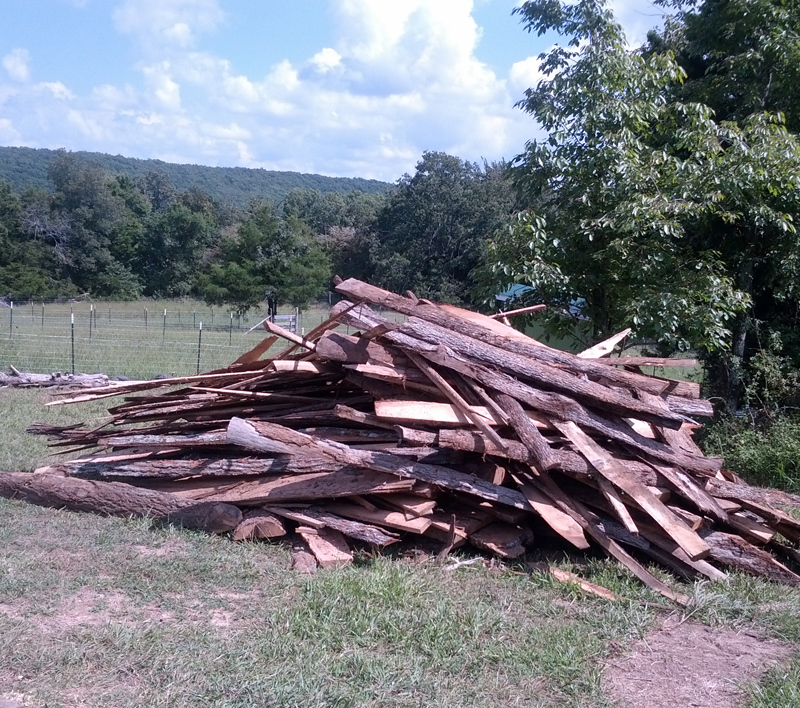 The picture of the wood pile on the right consists of 2 of the 7. Slab wood is generated from the round edges of wood that is a “waste” product after cutting logs into boards. 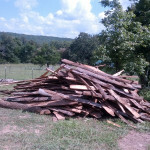 It is a good choice for firewood for us because it is cheap and the mill is located close-by. It burns really hot and is good when you are available to feed your fire regularly because some of the pieces can be a bit small. Our overnight wood of choice is big logs that can burn all night. We will find and cut these from fallen trees on our property. The chimney needs to be cleaned. I’m thankful that is my husband’s job! We rely on our wood stove for more than just heat in the winter. It was not made as a cook stove, but I cook with it anyway. I’m able to use the inside for cooking and baking in a cast iron dutch oven. I use the surface on the top for slow cooking with a trivet under a dutch oven. Think of it like an off grid crockpot. We need to inspect the lead acid batteries to make sure the distilled water levels are okay. If the water level reaches the lead plates inside the battery, they can be permanently damaged. They need to be checked every six months, so we do this in the fall and the early spring. Cleaning and filling our lanterns, as well as trimming the wicks is a regular job in the winter. I’ve been using solar light inside for the summer nights, but in the winter our lanterns provide more light and extra warmth. We love their warm glow! They make the winter nights so cozy. Our well pump freezes regularly during the winter. There is not much that can be done to prevent that. We will often defrost it using boiling water from a tea kettle, but under 15 degrees there is nothing we can do. I need to clear a space in my utility room for extra water storage for days when pumping water is impossible. Our old fashioned well is also a good backup. The water does not freeze below ground level and we are able to draw water up with a bucket. Hanging clothes outside can be difficult in the winter. Some days they freeze just as soon as they are put on the line! 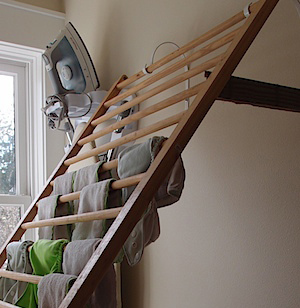 Consequently, I plan to hang laundry in the house as much as possible. The space I had for drying clothes last winter was in my boys’ closet, but this year I’m going to create a couple of specific drying spaces. My toddler is growing out of his crib and will soon be in big boy bed. 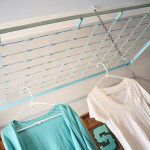 I love repurposing things and I have seen several tutorials for drying racks made out of cribs. I plan to make this one for above my laundry table in the bathroom. I plan to hang this one on the wall next to our wood stove. When it is not in use, I can simply remove it from the wall. I will make sure that I have all my bedding clean while the weather is still good. 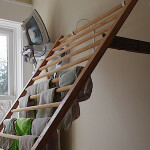 Sheets need to be dried outside. Good days for hanging outside are limited in the winter, so I don’t plan on being about to wash bedding very often. Before winter gets here, we will be butchering and canning a lot of our chickens. We plan to save 15 hens for eggs and butcher the rest. They will be more than 20 weeks old at the end of October and no longer considered tender enough to be roasted. Canning will make them tender and we will be able to store a lot of meat at one time. We will also not have to stock up on extra chicken feed to get them through the winter. 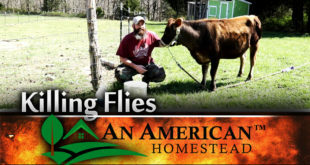 It’s important to consider butchering and canning any homestead livestock that you will not want to feed for the winter. 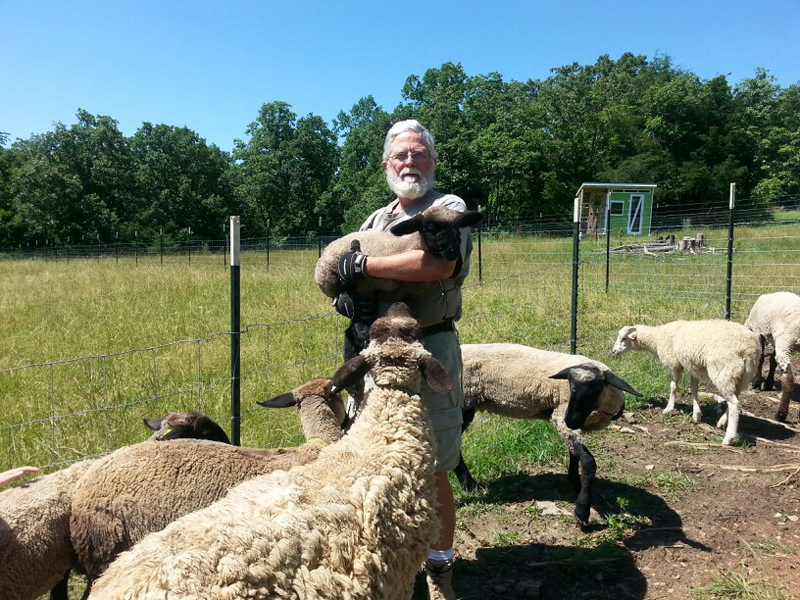 Our six sheep and donkey will need hay for the winter. We plan to purchase 4 round bails. We will also stock up on chicken feed for our chicken flock. Our experience last year with snow and ice helps me to plan better this year. I know that there will be days, even weeks at a time when our road will be unpassable with a vehicle. I need to make sure I have enough supplies to see us through those times. Depending on the state of our country dirt roads, we can travel if we walk down our hill. We will often keep a vehicle at the bottom for those occasions. Carrying a lot of supplies up an icy hill is not the most ideal, but we have done it! 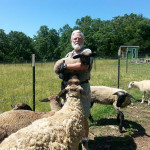 We have been able to put up a great supply of canned fruits and vegetables this summer and we have our own animals for meat. We have produced a lot more of our own food this year than the previous year. But I still need to stock up on dry goods; things like rice, dry beans, pasta, wheat berries, olive oil, coconut oil and spices. And of course stock up on toilet paper! 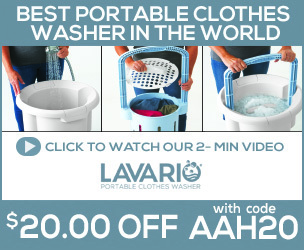 This is essential for us because we use it for our composting toilet. My husband and dad recently brought home a truck bed full that should last us all winter. It was important to get it and store it in our barn before the fall weather starts making it too wet. Dry sawdust absorbs more moisture, which is important for the composting toilet. Building a mass rocket heater for the greenhouse. This winter will be the first that our greenhouse will be operational. It holds our aquaponics system. We currently have bluegill fish which can survive in cold temperatures. We just don’t want our tanks to freeze! That is a possibility if we have prolonged cold temperatures. My husband is currently working on a plan to build a mass rocket heater so that our fish will survive and thrive. It goes without saying that we all need warm layers for the winter. 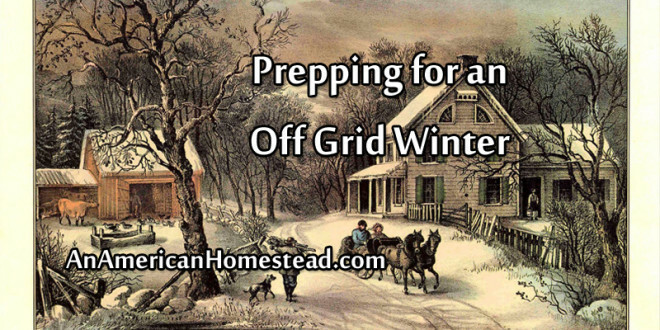 But when living off grid, a significant amount of time is spent outdoors in the winter when doing chores. And without a washing machine and dryer, planning enough clothing is essential. Do I have enough warm socks and gloves for my family so that they have extras when others need to be washed or are still wet from snow? 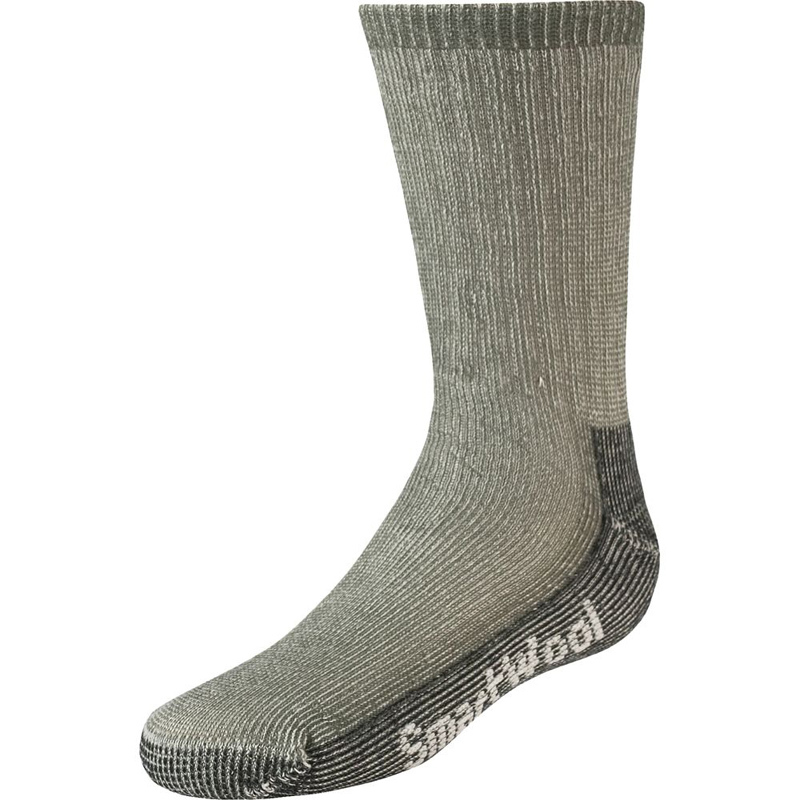 I love the SmartWool brand for kid’s wool socks. My oldest has worn his for two years in a row and they are showing no signs of wear. His other wools socks (purchased at Target around the same time) have holes and are unusable for this winter. Waterproof boots are also a must for every member of the family. So that’s it. I’m sure we’ll think of other little things to add to the list. There’s always something to do to be prepared. But these are the big things and the most important. i really love your posts , have y’all thought about one of those out door furnaces like engineer 775 has , besides you can burn pallets in them you can burn bigger wood ..
Doesn’t that require some kind of electric blower? Thank you for sharing. You have obviously put a lot of thought into your preparation! What kind of fruit did you put up? Get yourself a sled .. the plastic kind… and some snow shoes. Put your load on the sled and pull it up & down the hill to your car when you can’t drive all the way home. If you can find wool yarn, darning your wool socks actually makes them better. The wool yarn will felt to the rest of the sock as you wear it and your feet sweat a bit. You end up with nice thick wear points where you had holes. We actually think the darned socks are MORE comfortable. This only works well for socks which are wool and not a low wool blend because you want the stitches to felt to the sock itself. It’s well worth the time spent. Good tip! I will try it. Unfortunately the socks that are worn are more synthetic than wool, so it probably wouldn’t work. You would be amazed at how many people don’t realize just how much wood is needed to heat a home in winter. Nor all the work required to obtain it. 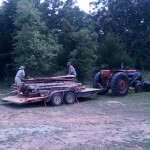 It’s a time consuming job and wood gathering is seasonal and very labor intensive for the short term. If you have to fell and trim trees I can’t imagine the extra work that would be required. Just a suggestion: Maybe you could check craigslist’s free section for firewood. Where I live “free firewood” is one of the top two most common free posts (in case you’re curious, “free dirt” is the other). What kind of solar lights do you use indoors? We have been looking at them instead of using our oil lamps year round. We go twice a year. Spring and Fall ….. I also stock gro. I keep a min. of 1 year of everything. Up to 3 years on others….. I started stocking because my husband was a brick layer, even tho he was commerical they don’t work in freezing weather, between jobs, rain. snow, over 105 degrees. So I taught my self when to buy foods. he is disable now and I still do this. because it saves US so much money. sometimes I dont go to the store form 3-4 months. then sometimes I go every week just to buy in bulk….and save money…..If I can help U email me. A couple of things I’d like to comment on here after 4 years of using only wood heat in various methods… -always- over plan your wood supple. The “slab wood” is ok to use but unless you want to constantly feed the fire or get roasted out of the room with the burner you need thicker pieces and we tend to start cutting felled trees up in the spring before the winter we’re going to use them. The cutting and chopping normally gets done before summer. then Silver spends the cooler summer mornings making us kindling. Also keep an eye on them round bales they have been known to rot from the center out. We only buy square bales because of this for our goats. I actually have that same print. Mine’s in black and white, and it’s Titled “American Homestead Winter”. Love it! My mom and dad had a homestead in Alaska back in 1967, I remember using kerosene lanterns and a fireplace. My grandparents had a farm in Idaho and they had a coal furnace that heated the whole house. When my dad and step mother built their house on the farm, they had a wood burning stove that heated the house, my step mom would heat water on it. I plan on buying property in Colorado and living off grid too, I would like to learn more about solar batteries and what to do if the water level is too high. I’m on Facebook under JaNae Morris-Merendino if you could message me or my e-mail at janaemorris1963@aol.com. Any suggestions are very much appreciated. Love to hear your new winter preps and soon to be Spring preps!